The Canadian government needs to decide on a proactive response to U.S. President Donald Trump's new tariffs on steel and aluminum, according to politicians and industry experts. "This can cause significant economic damage which will make [fiscal] deficits even bigger," Conservative party leader Andrew Scheer told CBC Radio's The House on Friday. Trump announced new trade restrictions Thursday, including a 25 per cent tariff on steel imports and 10 per cent duty on aluminum, but didn't say whether Canada would be exempt. With so much cooperation between the two countries on the defence file, Prime Minister Justin Trudeau said it was "absolutely unacceptable" to highlight Canadian steel or aluminum as a security threat. Trump is justifying the tariffs in part on national security grounds. "They know that this individual, this government, is far more protectionist and we are at risk." 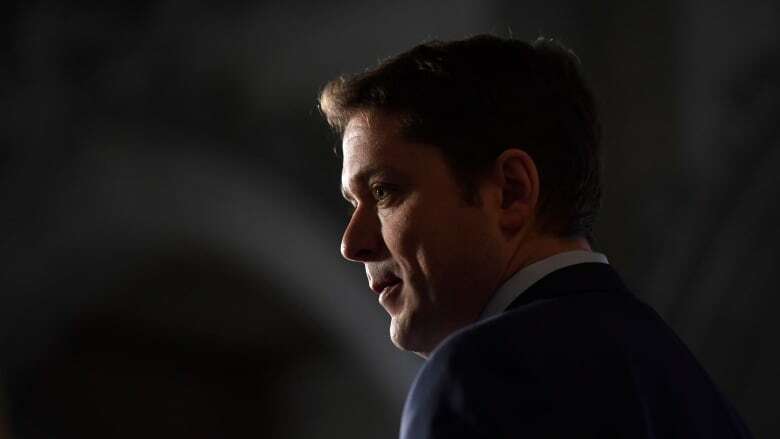 The Conservatives, Scheer said, were disappointed that this year's budget included no concrete plan to deal with growing trade tensions with the United States. Politicians aren't the only ones worries about what these tariffs could mean for Canada's economy. "This is going to be a scenario that turns quickly, and the harm that can be done to the domestic industry is significant in a very short period of time," said Joseph Galimberti, president of the Canadian Steel Producers Association. The tariffs also could force other countries to divert their steel away from the U.S. to other markets, threatening Canada's ability to remain competitive. "It's troubling to see an American administration revert to some of the failed policies of the past that not just discourages growth, but punishes [it]," Scheer said. "This kind of 25-per-cent-across-the-board tariff is extraordinary and not something that the traditional Canadian policy framework is set up to deal with," Galimberti said. "I think we're going to look to the government to be creative." The Prime Minister's Office has also reached out to the White House in the last 24 hours.